Aesthetic minimalism and functionality are an unbeatable combo. 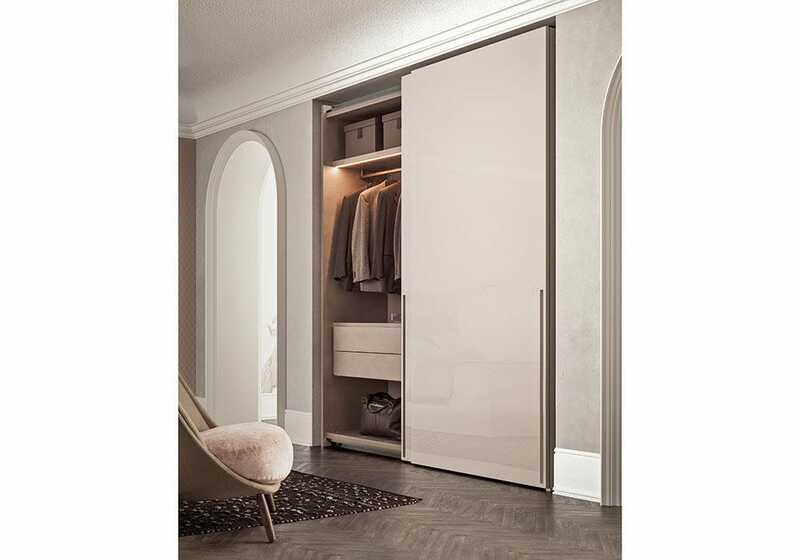 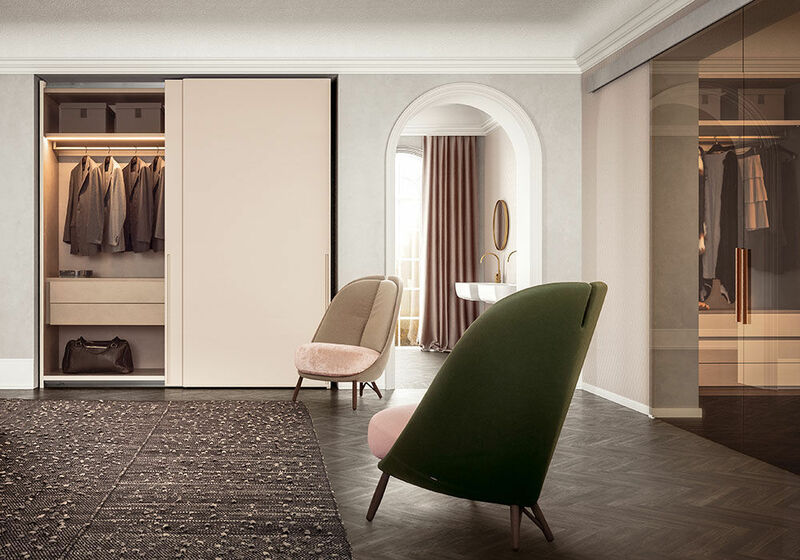 This wardrobe’s success lies in its consistent simplicity and in the power of its minimal lines. 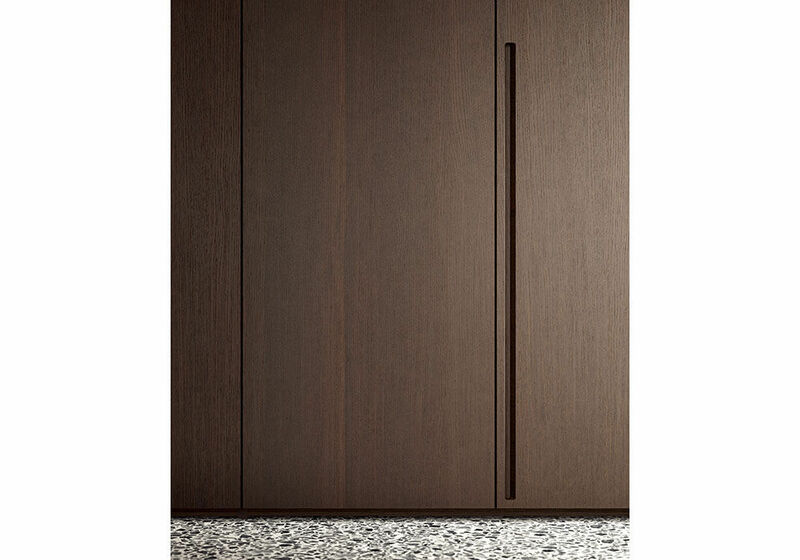 Tratto integrates and blends the door parts while carving the handle out of the panel. 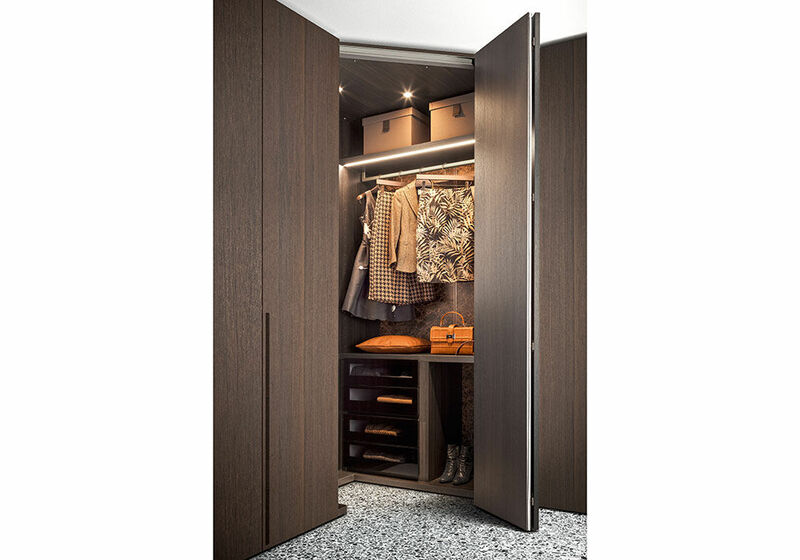 Vertically recessed near the edge of the door, it offers a sound grip on both hinged and sliding doors. 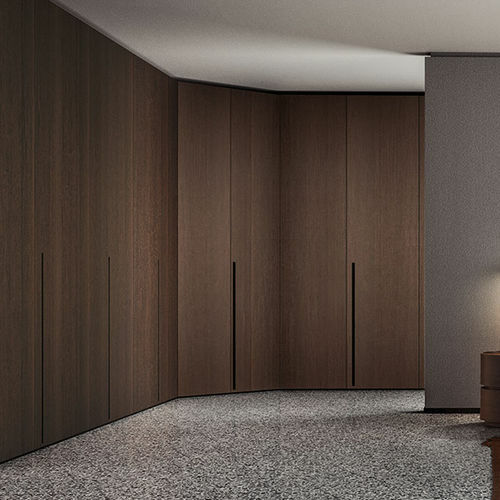 Surfaces feature uniform materials available in all the lacquers and wood types of the collection.